Relevance of keywords to the website niche by targeting customers. Viability of visibility for each keyword. Volume of searches for each keyword. Test your chosen keyword phrases. Find alternative keyword phrases for your page. Choose the best keyword phrase for your page. 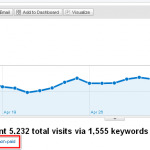 Put your keyword phrase in your page title. Put your keyword phrase in your Meta description. Seed your keyword phrase throughout your page content. Each and every website has it’s own goal of action. This may vary based on the industry in which the website belongs to. Certainly for an E-commerce website, the ultimate goal is to sell a product, that is increasing the ROI (Sales). If it is a blog or any tutorial website then subscriptions and traffic will be taken into account for goal conversion and if suppose it’s a social networking website then number of signup’s / registrations matters. Based on the above factors, the keywords has to be analyzed. Visitors visit our site only if our targeted keywords ranks higher in SERP’s and this in turn increases Traffic, ROI, Subscriptions and Signup’s. 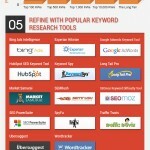 Here are the tips to analyze keywords. Read the content of pages for which the keywords has to be taken. The keyword can even be checked in Google Trends and Google Insights to know whether any search trend is present or not for the keywords. If your website is not in English then you can’t use all keyword tools that are available in the market to find possible set of keywords because they won’t produce any valid results. If anyone has come cross any such tool to find keywords in other languages please do share here. We can use Google keyword tool for finding keywords for other languages, say for an example if suppose I have to choose keywords for the French website, the domain of Google keywords tool has to be changed as “Google Keyword Tool” that are available in the French language, by searching in this way we will be able to get more possible combination of multilingual keywords. Using this tool, search for multiple keyword phrases that best describes your services, If you are not successful enough with the method then use “Webconfs Tool” to find the word that frequently appears in a page , join two keywords and then search for that keyword phrase in the tool. Multiple keywords will be displayed. Start your search from the root keywords. Think in user’s perspective while choosing keywords. 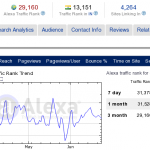 Top rankings can easily be achieved with the help of long tail keywords and you can even use geo targeted keywords. You can even examine your competitor sites for keywords, along with the number of backlinks they hold for the keywords, with this you will be able to come to a decision of how we will be surviving in the market if we choose that keyword. Prepare a document with the following information “keywords, Number of competition, Count, allintitle (the active number of players)”. Number of competition is that which gives the over all websites which compete for the same keywords. If a keyword is highly competitive don’t prefer it as it takes much longer time to obtain better ranking in SERP’s . It would be better if we choose a moderate competitive keywords. Count is the volume of searches that are done in one particular month. Search as “allintitle:keyword” which results websites which are the actual competitors for our websites. Choose keywords with moderate competition along with more count. Analyze your keywords based on the above said factors. Google your keywords along with the website URL as “keyword site:www.example.com”, to place your keywords in the webpage to provide a exact relevant landing page. If the keyword is not found in any of your webpages then either you have to choose other set of keywords or you have to modify the content according to the keywords. Maximum three keywords which are relevant to the webpage is more than enough for a page to serve visitors. For E-commerce websites each product pages has to be provided with the appropriate keywords related to your products. Monitor your keywords performance and if you feel like they are not good enough and not working fine then change your keywords. Keep changing until you get best optimal keywords that works well. Pad up your main keywords in your home page. Primary focus should be given to them as we know the home page carries more weight age than the other pages since we build more links towards it.